9 events. 8 countries. 614 volunteers. 3,000 kilometres. 5 tonnes of waste. 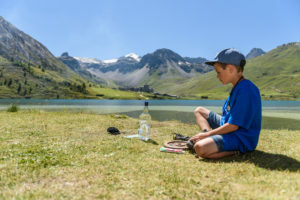 Several mountain areas across Europe are a little greener, more vibrant and significantly less polluted following a successful UIAA Respect the Mountains Series, held throughout the summer of 2016 across nine events in eight European countries. The Series – partnered by KEEN – was created as a two-fold project. On a practical level, lies the direct action clean-up operation that witnessed the removal of five tonnes of waste across European slopes. The other, more significant, aspect is its legacy. Through dedicated workshops, practical field explanations from expert guides and following the project’s seven ways to Respect the Mountains, several hundred mountain volunteers were empowered to become ambassadors for the future.The three-month series provided a showcase for the beauty and rich diversity of Europe’s mountain regions while, in parallel, highlighting the issues caused by tourist waste and the perennial threat posed by climate change. Each event was a unique experience, embracing local culture and values and presenting their own geographical challenges. 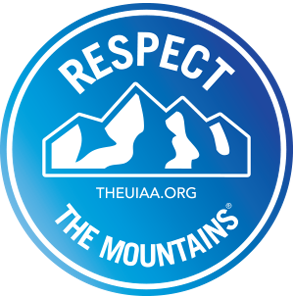 What united all nine gatherings was a common desire among volunteers to make a difference and foster a community under the slogan ‘Respect the Mountains’. The Series united education, physical work and an appreciation of the mountains through organised group activities. 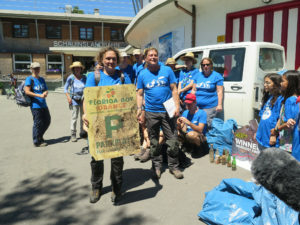 The first event in the most southern destination of Tenerife set the standard, several hard hours of waste removal on sun-baked paths in UNESCO-protected territory was interspersed with memorable mountain activities, from stargazing to a demonstration of a traditional herdsman’s leap. The Series closed in Romania, where volunteers rambled through the Carpathian mountain range in areas bears, wolves and lynxes still roam. In both France (Tignes) and Russia (Mount Kazbek), volunteers helped sweep areas around receding glaciers. In Austria (Mayrhofen), the focus centred on eliminating immigrant plants to protect the region’s rich biodiversity, in Italy (Civitella Alfedena) and Wales (Llanberis) popular walking paths were cleared, in Germany dense forests patrolled and at another event in France (Samoëns) out of season ski pistes were swept of rubbish. An interesting insight into the waste issue was provided by what the volunteers discovered. 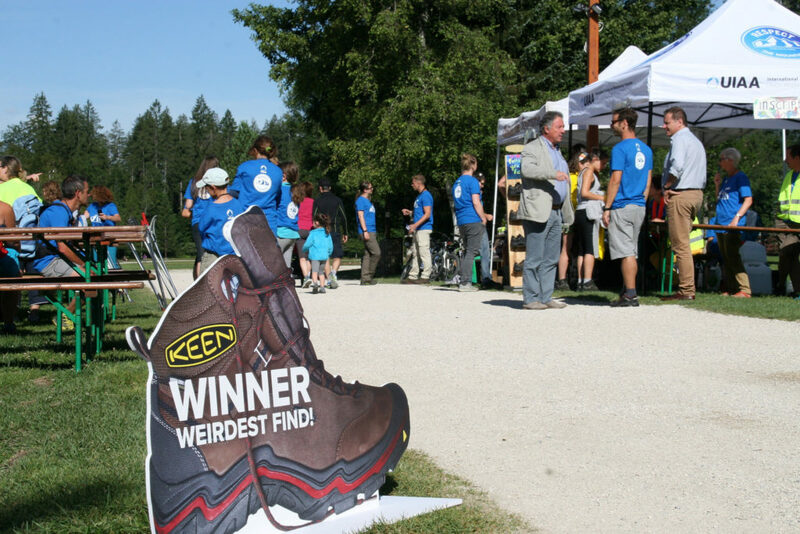 At each event, KEEN awarded a prize to the weirdest find. 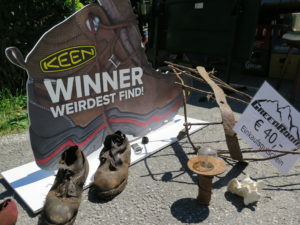 The winners range from the bizarre to the ridiculous – a diving bottle (Tenerife), a car bumper (Wales), a billboard (Italy), an advertising sign (Germany), old shoes (Austria), a microwave (Samoëns), a knife (Russia), a full bottle of vodka (Tignes) and a soiled pullover (Romania). Five tonnes of rubbish were collected by over 600 volunteers from 19 different countries. 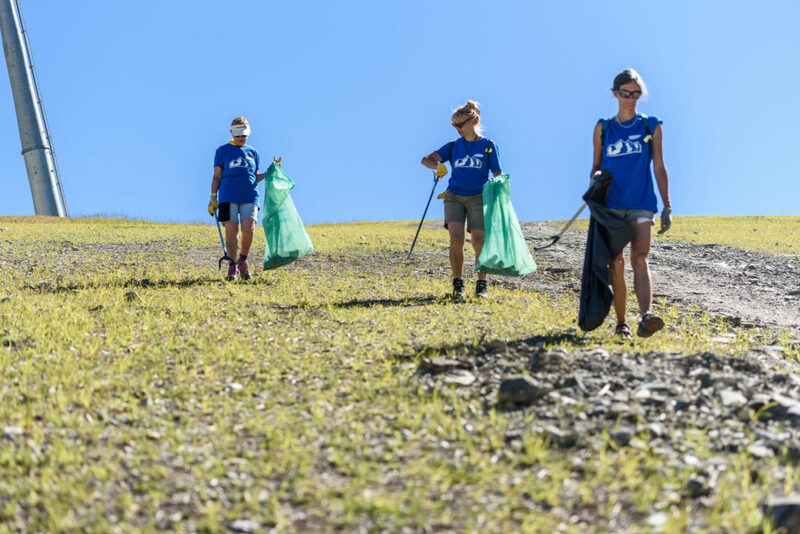 Between them they filled over 500 garbage bags and walked, hiked and climbed over 3,300 kilometres to clear paths, canyons, mountain huts, beaches, parks, glaciers and slopes of waste left by tourists. The 2016 Series is only the start. In the coming years, the UIAA will work with both KEEN and its member federations on all six continents, to create a genuine global series which will focus increasingly on educational elements and prevention. The UIAA and KEEN would like to extend its thanks to all of the event organisers for their support: Tenerife Walking Festival, Tenerife Tourism Corporation, Fundaciòn Santa Cruz Sostenible; the British Mountaineering Council (BMC), RAW Adventures; Club Alpino Italiano (CAI); Deutscher Alpen Verein (DAV), Städtisches Forstamt Freiburg; XP Events, ÖAV Sektion Zillertal (Österreichischer Alpenverein); Alp Adventures; FFCAM Samoëns; Tignes Développement; Russian Mountaineering Federation (RMF); Outdoor Educational and Cultural Association (ACEO), Piatra Craiului National Park, Romanian Society of Mountain Guides and International Mountain Leaders. The UIAA was founded in 1932 and has 82 member associations in 58 countries representing about 3 million climbers and mountaineers. The organization’s mission is to promote the growth and protection of climbing and mountaineering worldwide, advance safe and ethical mountain practices and promote responsible access, culture and environmental protection.